Mixed Berry Smoothie, a heavenly fresh mixed fruit drink to chill out with in summer heat, is loaded with vitamins, minerals and energy. 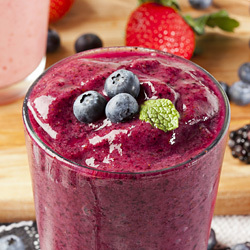 Fresh or frozen berries used in this recipe make healthy base for this cool smoothie and gives it a taste and texture. 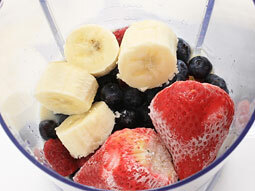 Take blueberries, strawberries and raspberries or any other berries of your choice to prepare this smoothie. 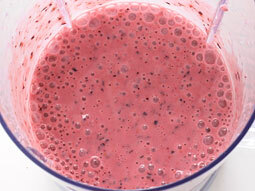 We have used 1/2 cup each of frozen strawberries, frozen blueberries and raspberries to make this smoothie. 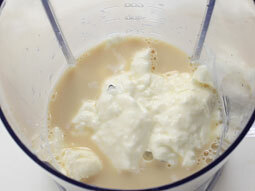 Pour soy milk in a blender jar. Add plain yogurt. Add strawberries, banana and honey. 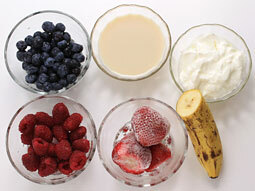 Blend until smooth and frothy texture. 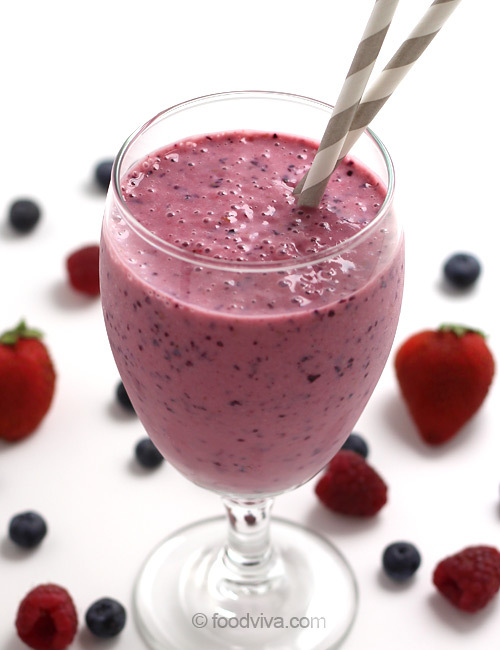 Mixed Berry Smoothie is ready. Pour it into chilled serving glasses, garnish with the berries and serve immediately. You can add orange juice or pomegranate juice instead of soy milk in this recipe. 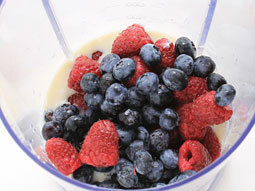 Use frozen berries instead of fresh ones to make thick smoothie. Serving Ideas: Start your day with it, a perfect way to get bountiful of vitamins and minerals for busy day ahead. This grape smoothie was delicious!